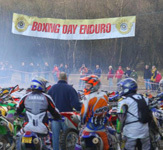 Although the term Enduro often applies to any type of long-distance, off-road motorcycle races, its true technical definition usually refers to a set of rules, varying by the events' governing body, that specify exactly when a rider should arrive at certain pre-defined locations along a prescribed route. The object of the event is to arrive at those locations exactly per the defined schedule, with early or late arrivals receiving penalties. This sort of event is not technically a Race, but rather it is a Time Keeping event. Motorcycle trials is a non-speed event on specialized motorcycles. The event is split into sections where a competitor rides through an obstacle course while attempting to avoid touching the ground with the feet. The obstacles in the course may be of natural or constructed elements. In all sections the designated route is carefully contrived to test the skill of the rider. In many local trials events, the sections are divided into separate courses to accommodate the different skill level of riders. Hare and Hound is a type of off road motorcycle sport where the entrants compete motorcycles over a marked course of natural rugged terrain. The event is comparable to an extended length motocross (anything from 1 hour to 12 hours in extreme examples) but tend not to included artificial jumps that characterise modern motocross. The general lengh of a Hare and Hounds tracks is around 6 miles although it does vary, rider that completes most laps wins. We organise an annual Long Distance Trial using byways and green lanes in Surrey, Hampshire and West Sussex, and a number of Witley members are regular green lane users, keen to maintain the rights of access to the few remaining byways in our district. Our Road riders own a wide variety of machinery from the classic to the very modern, but all share a love of the open road. 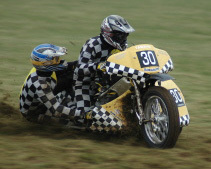 Motorcycle Grasstrack racing takes place on a flat track consisting of two straights and two bends usually constructed in a field. It is one of the oldest types of motorcycle sports in the UK with the first meetings having taken place in the 1920s. It is similar to Speedway with races usually taking place over 4 laps from a standing start. Unlike Speedway, which has 4 riders per race, Grasstrack racing can have many riders in each heat. We have a very active social side, from ' Witley Fest' our annual camping weekend to one of Bernard's Scavenger Runs, dances to trips abroad, displays at local shows to promote our sport. There is a weekly meeting at the Royal British Legion, Compton, Guildford, GU3 so why not pop down for a chat. The Witley & DMCC was founded in 1921 and became affiliated to the ACU in 1924. Affiliation to the SE Centre followed in 1926. 1924 is taken as the formal beginning of the Club, hence we celebrated our 90th Anniversary in 2014. The Club, through the energy, vision and commitment of its members over the years, together with outstanding leadership, has been successful over the whole spectrum of motorcycle sport. The Boxing Day Scramble, grass tracks at Woolgars Farm, Peper Harow, and elsewhere, and trials, especially the Weston Trophy, have made an outstanding contribution to the promotion of motorcycle sport in the South East. The Club was involved in youth training as early as 1948 before setting up a fresh and very successful RAC/ACU Training Scheme from the mid 1960’s onwards. Road racing has not been neglected – in 1965 our enthusiastic and successful group of Witley road racers won the team prize in the Manx Grand Prix. For the road rider, road navigation and regularity events have been run and teams have competed successfully in the National Rally on many occasions. 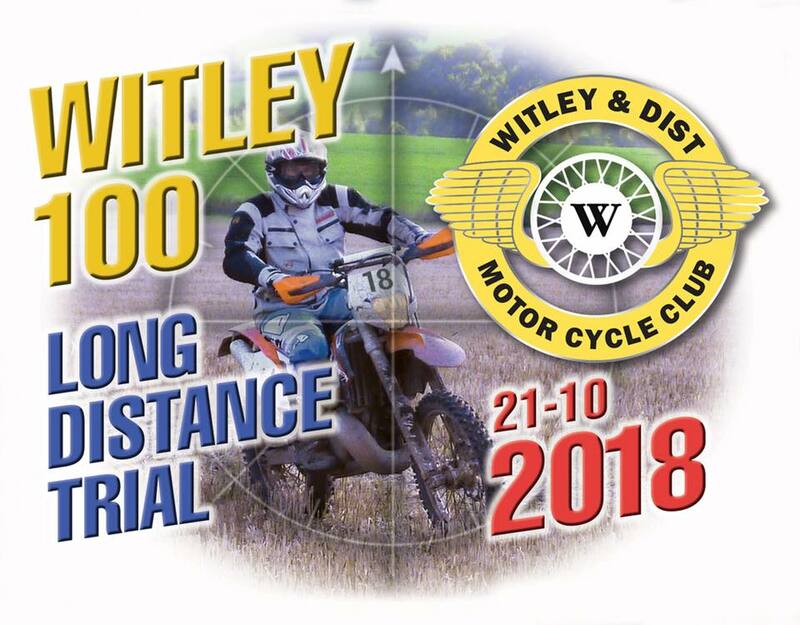 The Club has also had many very successful individual members, including winners of the British and Southern Experts, the Scottish Six Days Trial, and many other national events, and won the SE Centre Team Trial on numerous occasions between 1931 and 1980. Individuals have won SE Centre Competition Shields for trials, grass track and road trials several times. The Pinhard Prize, an annual award for the most meritorious performance in motorcycle sport by an under 21 year old, was won by Derek Adsett when a Club member in 1964. Individual members have also performed successfully in the ISDT, both at Trophy and Vase levels: in 1997 and 1999 Club teams were entered for the ISDE events in Italy and Portugal.The Witley Club team emerged best of the 13 British teams entered and 6th overall out of 53 teams entered from all over the world. The Witley and DMCC is one of the oldest clubs in the Centre continuously affiliated to the ACU. Its history is to some extent a reflection of the development of motorcycle sport in the 20th Century, and as we look to the future we have to take into account the world in which we live - pressures on the use of land, environmental considerations, the cost of competition, and the need to compete effectively with other forms of leisure activity. With a young and energetic membership, leavened with experience, it is a challenge we look forward to facing.